The Reserve Bank of India delayed the proposed linking of floating rates to external benchmarks on Thursday. The central bank has been pushing banks to link lending rates to external benchmarks as the latter were not adequately passing on rate cut benefits to borrowers. 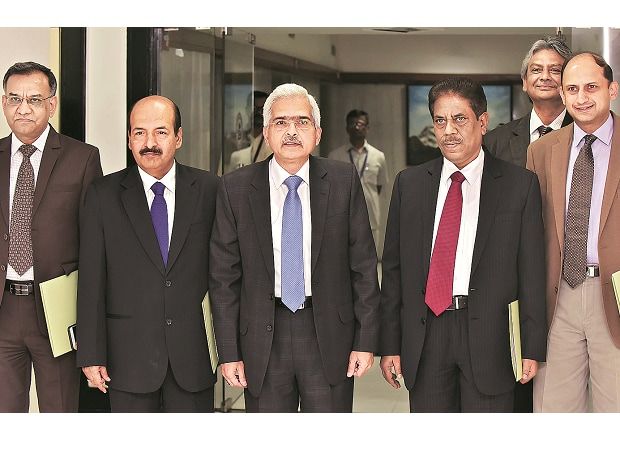 “Taking into account the feedback received during discussions with stakeholders it has been decided to hold further consultations and work out an effective mechanism for transmission of rates,” the RBI said on Thursday, after the first bi-monthly monetary policy committee meeting of this financial year. In December, the RBI had proposed that all floating rate personal, retail loans, and floating rate loans to micro and small enterprises from April 1 shall be linked to an external benchmark to ensure efficient transmission. ALSO READ: When will we see the next rate cut? RBI’s report on Thursday said monetary transmission to the deposit and lending rates of commercial banks was partial and delayed. After the RBI offered a 25 basis points rate cut in February, the average lending rate on fresh rupee loans declined by 12 basis points. The low transmission was despite deposit rates and the 1-year median MCLR of commercial banks seeing only a muted change. After the February rate cut, 38 banks reduced their 1-year MCLR till end-March 2019 by 1-106 basis points. However, 24 banks, mostly foreign lenders, increased their MCLR by 5-113 basis points in the same period. While the median term deposit rate (all maturities) of banks declined by 3 basis points, the 1-year median MCLR declined by 5 basis points during the easing phase so far, RBI’s report said. Experts said April’s 25 basis points rate cut is unlikely to bring a significant reduction in lending rates unless other measures are taken. “The second rate cut in 2019 is likely to prod banks to cut lending rates. However, despite the additional cut in policy rates, the transmission rate will remain incomplete as the incremental build-up in banks’ deposits continues to lag the credit growth, and interest rates on small savings continue at elevated levels,” said Anil Gupta, sector head, financial sector ratings, ICRA. SBI will cut interest rate on cash credit and overdraft facility by 25 basis points (bps) for limits over Rs 1 lakh from May 1.